OT uses everyday activities as the measure to develop the skills that will enable a person to get beyond their disability or injury, with a focus on maintaining or rebuilding independence. Occupational Therapists assist patients in regaining self care skills including dressing, bathing, grooming, and eating. We recommend adaptive equipment and environmental changes to help improve patient abilities. Therapists also work with patients with a variety of upper extremity conditions and address edema control, pain management, range of motion and strength. Occupational therapy addresses the patient’s physical well being, and the individual’s psychological, social and environmental factors that affect independent functioning in daily living. This unique perspective makes occupational therapy a unique and critically important part of a health care program. Occupational therapists are often consulted when a functional aspect of the patient’s lifestyle has been interrupted due to a stroke, head injury, carpal tunnel syndrome, hip replacement or other medical illness. 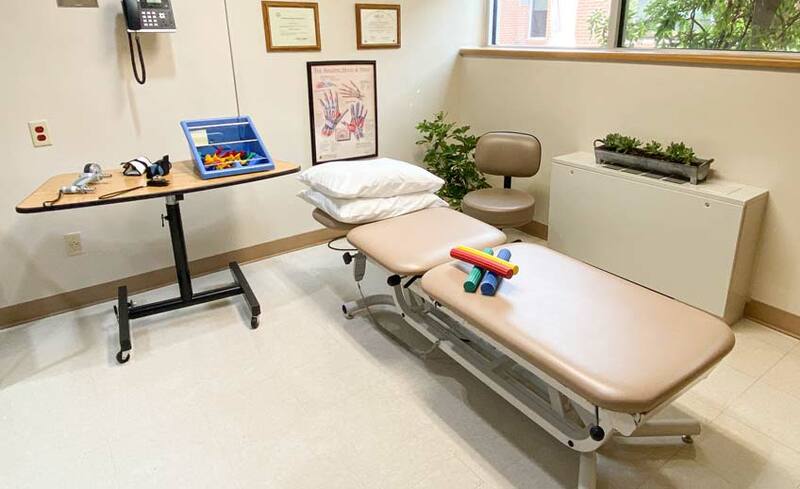 Occupational therapy services are offered five days a week at Clay County Medical Center. Individuals must be referred by their physician and given a prescription for treatment, much like when a patient receives a prescription for medication. If you have concerns that you would like to address with an occupational therapist, please contact your physician or you may call the therapy department. After you have been referred by a physician, your situation will be evaluated and together the physician, patient and therapist determine goals to be accomplished and develop a plan to help achieve those goals.